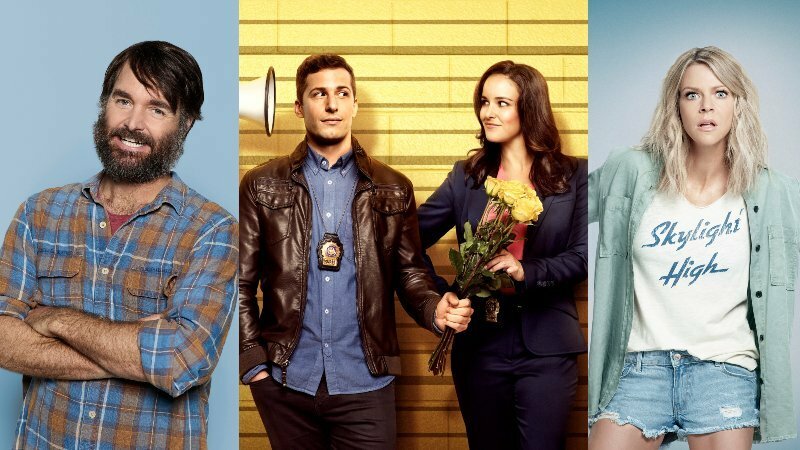 Variety has confirmed a new round of network cancellations with FOX saying goodbye to three of its comedy series today as The Last Man on Earth, Brooklyn Nine-Nine, and The Mick have all been canceled. The Last Man on Earth centered on a small group of survivors of a deadly virus. The show starred writer-producer Will Forte, Kristen Schaal, January Jones, Mel Rodriguez, Mary Steenburgen, and Cleopatra Coleman. Christopher Miller and Phil Lord served as directors and producers on the show, which was executive produced by Forte, Lord, Miller, Seth Cohen, Erik Durbin, and Tim McAuliffe. The Mick, starring Kaitlin Olson, has ended after two seasons. The single-camera dysfunctional family comedy followed Mickey, a woman stuck raising her spoiled niece and nephews after their parents are arrested for defrauding the IRS. Sofia Black-D’Elia, Thomas Barbusca, Jack Stanton, Carla Jimenez, and Scott MacArthur also starred. The Mick was created by John and Dave Chernin, who executive produced alongside Olson, Nicholas Frenkel, Oly Obst, and Scott Marder. After five seasons, the comedy series set in the 99th precinct of the NYPD, Brooklyn Nine-Nine, has also come to an end. The show starred Andy Samberg, Andre Braugher, Terry Crews, Melissa Fumero, Stephanie Beatriz, Joe Lo Truglio, Chelsea Peretti, Dirk Blocker, and Joel McKinnon Miller. It was created, written, and executive produced by Dan Moor and Michael Schur, and was produced by Universal Television, 3 Arts Entertainment, Fremulon, and Dr. Goor Productions. Goor, Schur, David Miner, and Luke Del Tredici served as executive producers. So far, FOX’s renewals include 9-1-1, Empire, Star, The Resident, The Gifted, The Orville, and The Simpsons. The network has also ordered new shows The Passage, Proven Innocent, and The Cool Kids.